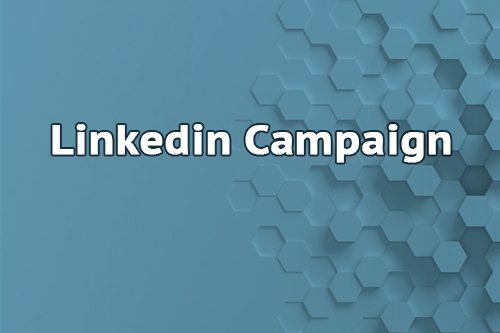 LinkedIn Campaign | Optimize and get result with LinkedIn ads campaign. Low Cost Web Agency maximizes your chance to convert your LinkedIn campaign investment into paying customers. Ask us for a quotation! We are here to support you! Grow your professional network and convert your leads into customers! If you’re looking to target a strictly professional audience, LinkedIn Ads is definitely a platform to adopt quickly if not already done. LinkedIn’s advertising platform lets you reach highly targeted groups of professionals with your customer acquisition message. Nowadays, a company which is not present in LinkedIn network, it may seem as a company that doesn’t even exist! You should at least have your company page for your business to be recognized on the market. LinkedIn is very efficient to get new qualified people into your network and inform them about your business and your brands. The objective is to maximize your company awareness. A LinkedIn campaign simply addresses a consistent message to an audience potentially interested by your website. If you don’t already have in hand an attractive ad banner image for your ad, please consult our product Ad banner. We believe in building a relationship with our customers based on trust and to become the low cost digital market reference for all business owners. What else, we are the specialist you were waiting for, ask for a quote!